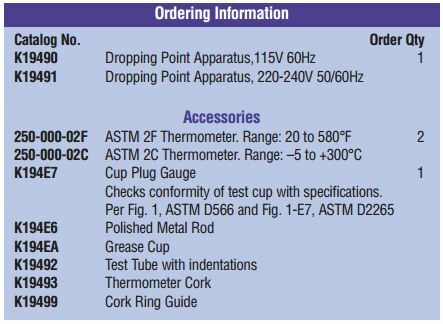 Dropping point determinations are used for identification and quality control purposes, and can be an indication of the highest temperature of utility for some applications. The sample is heated at a prescribed rate in a precision machined cup whose sides slope toward an opening at its center. The temperature at which a liquid drop first falls from the cup is the dropping point of the sample. Performs dropping point determinations on lubricating greases at temperatures of up to 550°F (288°C). 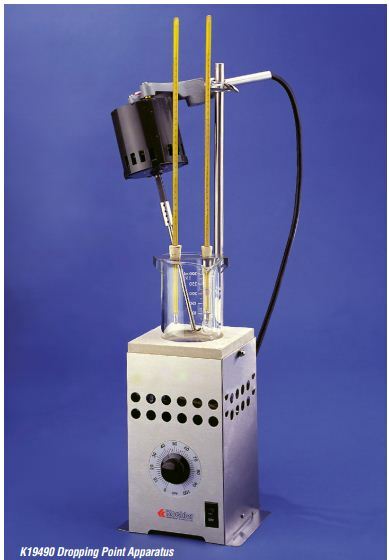 Consists of dropping point cup, test cell with accessories and oil bath with stirrer and heater. Test cell is immersed in a 400mL Borosilicate Glass bath for heating at the prescribed rate. A 750W variable stepless control heater and 1/40hp stirrer permit accurate, uniform control of bath temperature rate of rise. Heater assembly includes refractory top plate and reference dial. Bath Medium: A high temperature heat transfer fluid having a flash point in excess of 400°C is recommended. Silicone fluid (P/N 355-001-002 - page 8) is suitable. Receive our regular updates. 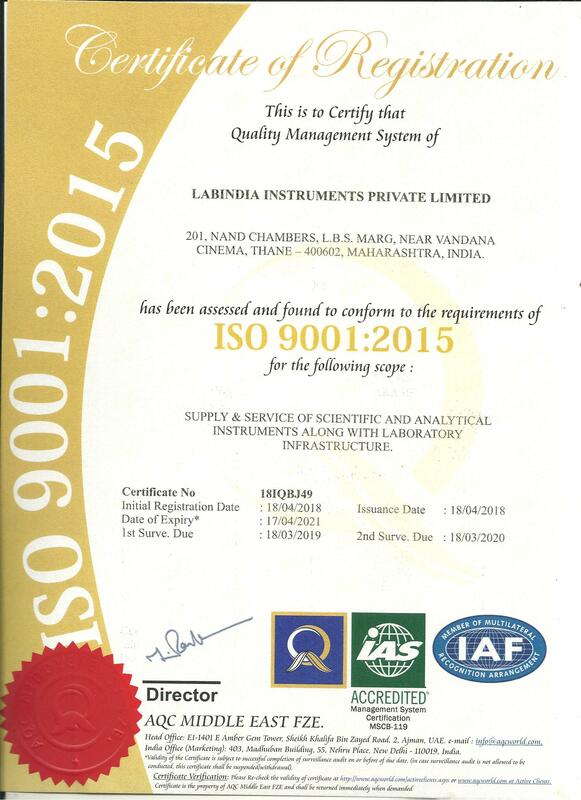 For latest updates about Labindia Instruments group, enter your email id below. Please enter your current email address. » Visit Labindia Instruments Pvt. Ltd.at Booth No.15. D4 3 in Hall-15. from 12�14 December, 2018 and have been allotted Booth No.15.D43 in Hall15. Stop by our booth to chat with some of our Sales and Marketing Representatives, pick up a catalog, and see some of our equipment on display. If you would like to set up a meeting with us prior to P-MEC just give us a call at 022-25986038 / 25986358 or reply to this e-mail!